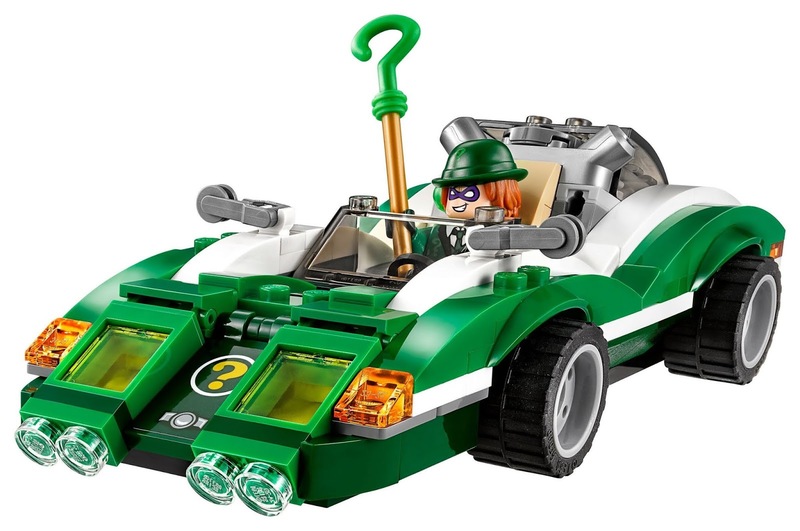 come with a riddle racer. 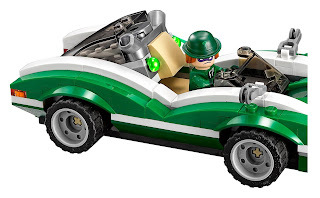 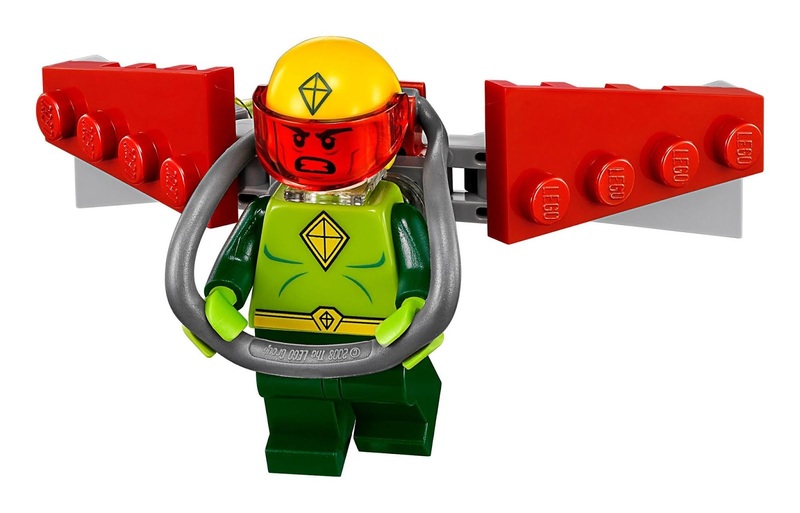 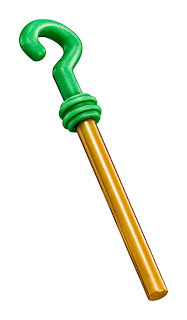 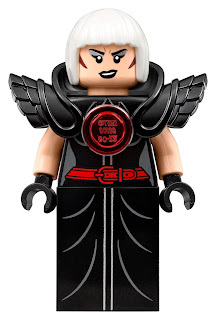 the riddle racer has a dual exhaust with 2 flip up, spring loaded shooters, a secret front compartment, 2 hidden guns, an open minifig cockpit, a wing mirror and transparent headlight. 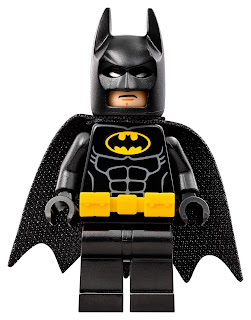 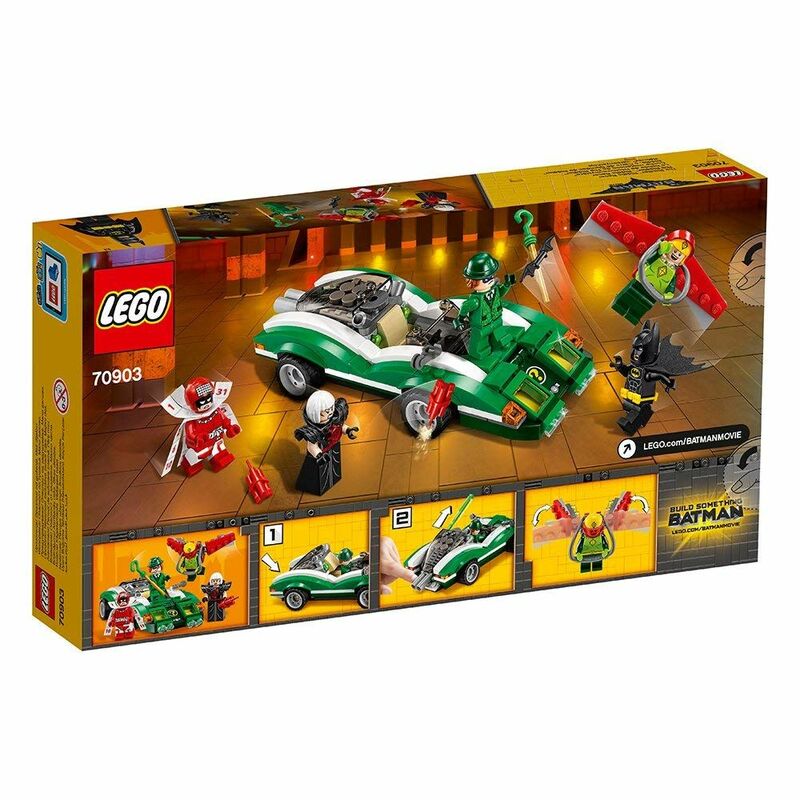 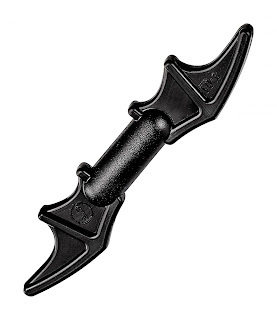 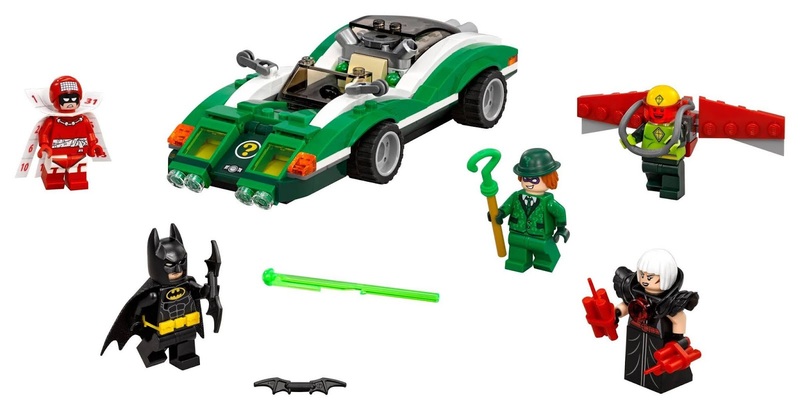 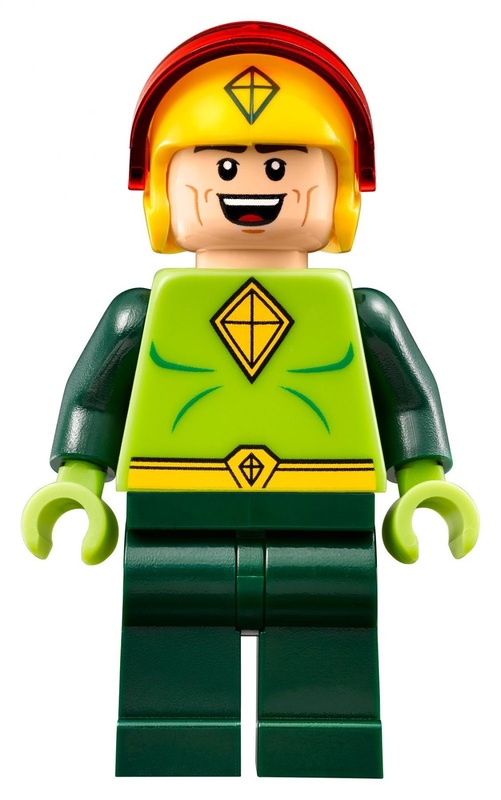 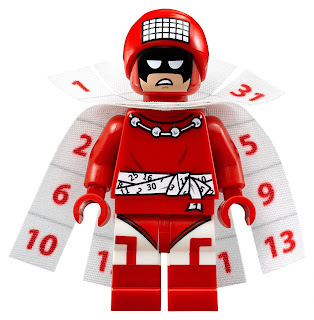 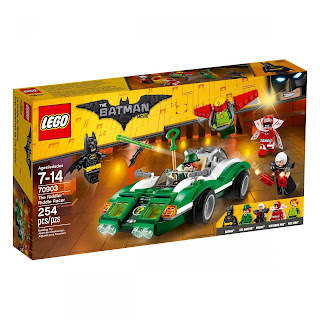 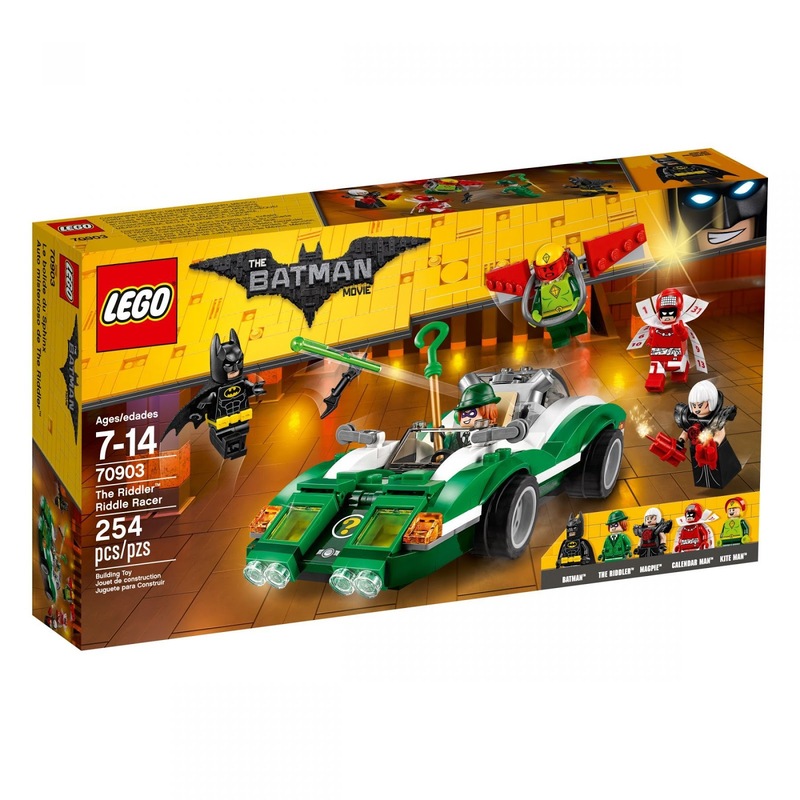 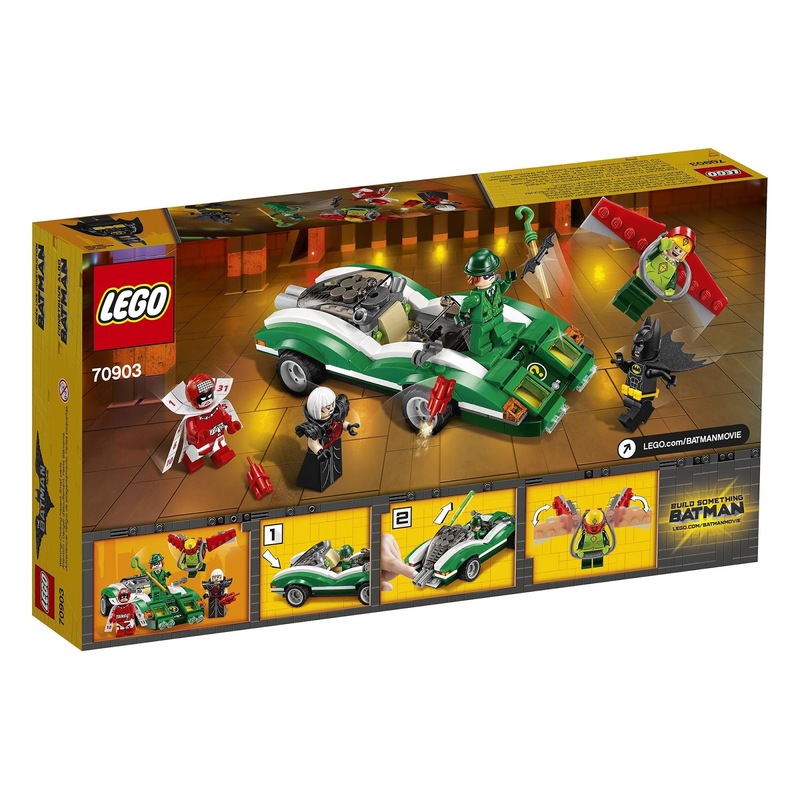 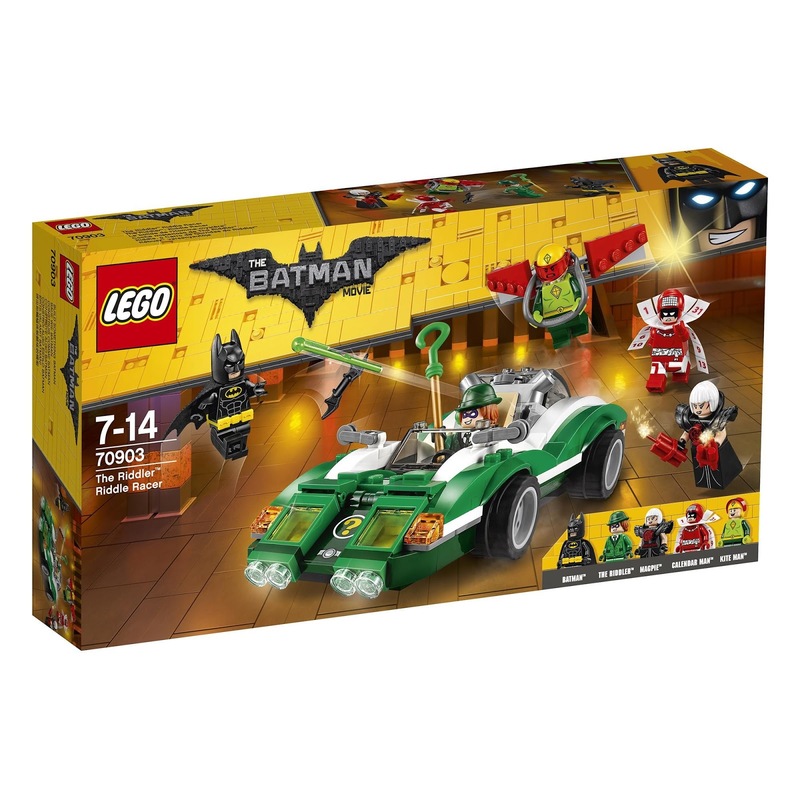 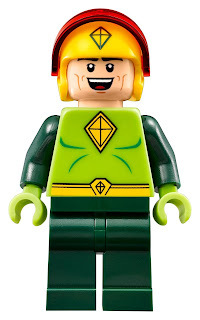 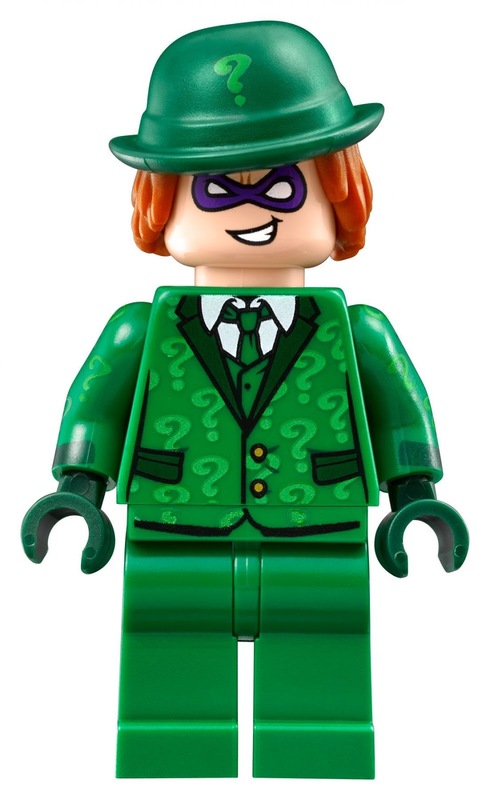 minifigs included a batman minifig, the riddler minifig, a magpie minifig, a calendar man minifig and a kite man minifig.